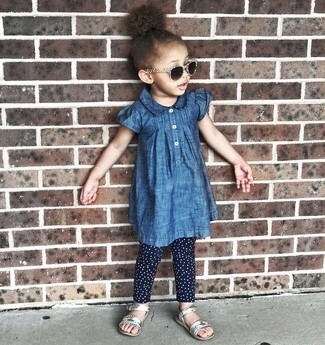 Consider dressing your little fashionista in blue denim dress with navy polka dot leggings for a cool, fashionable look. This ensemble is complemented nicely with silver sandals. 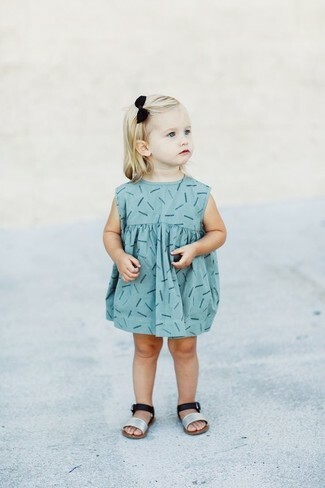 For an everyday outfit that is full of character and personality suggest that your little princess wear light blue print dress. 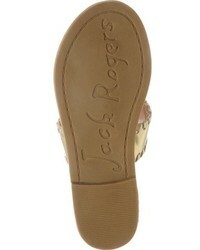 Jack Rogers miss hamptons sandal are a nice choice to complete this look. Teach your girl how to look put-together and stylish by suggesting that she dress in silver dress. As far as footwear is concerned, suggest that your girl throw in a pair of silver sandals. Suggest that your mini fashionista opt for hot pink dress for a stylish and sophisticated look. As far as footwear is concerned, suggest that your little girl opt for a pair of Jack Rogers miss hamptons sandal from Nordstrom. Suggest that your child reach for a white t-shirt and a white skirt for a cool, fashionable look. Jack Rogers miss hamptons sandal from Nordstrom are a great choice to complete this outfit.